Sometimes things just resonate with us. Whether its a movie or a book, or as is increasingly becoming more common place; a video game.... sometimes somethings just grab us and stick in our minds. It becomes a powerful influence, an experience we must have time and again and one that regardles of how old or dated it becomes will always hold a significant place in our psyche. Holding onto a piece of that 'something special' is an amazing thing, as whatever it is can have a profound and everlasting effect that puts wheels in motion and can set us on the paths that our lives may take for years to come.... but actually being a part of its' creation is something entirely unique again. I posted not that long ago, but it seems to me that there is quite a large body of people for whom the world of Spyro the Dragon holds a great deal of significance. 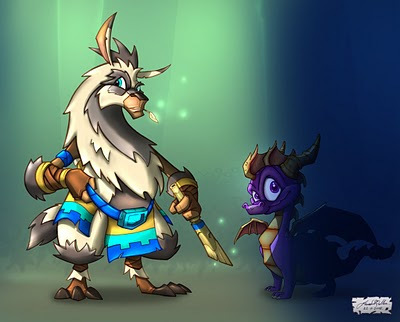 I myself am an epic fan of Dragons, and for Spyro I tried to re-inject that ancient and weathered majesty for the Guardians, and get Spyro dragons walking on four legs again! When the franchise came to Krome Studios Spyro was in need of a style makeover and so I did my best to ensure that everything that was loved about the old Purple Dragon of Legend remained intact, while along with Bruno Rime and fellow concept artists Ron Marc, Rod Wong, Mark Hansen and Danh Nhan we sought to rejuvenate the franchise with contemporary style and heart. 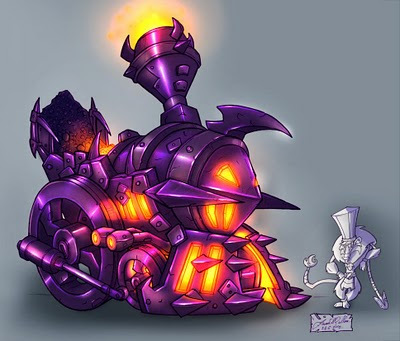 The Caboose was very much part of the Steam Boss' character; it housed Cynder's minions to taunt Spyro on his high speed rail chase in TLOS: A New Beginning and acted as armour to be damaged and stripped away. Steam was the only machine type Boss designed for this title. 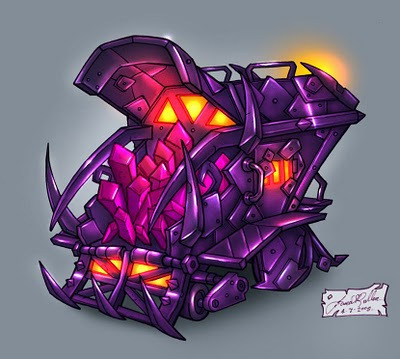 These sinister agents of Cynder were a blast to draw and theme for every environment type. We had strong elemental themes that served to influence every design, right down to materials, so drawing became an almost unconscious thing for me. When I first designed this beasty I called it the 'Dreadwing' as a working name, but the name just stuck right through to the printing of this title's hand manual. 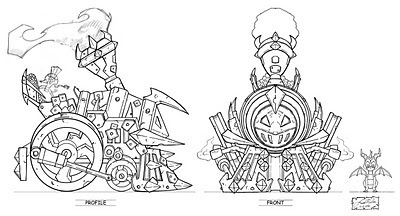 With these types of mainstay foe consistency was key; in their theming and materials across all world types and also in their sense of scale across the three enemy tier types. To keep scale cohesion between the three enemy sizes, I made sure that the feet, hands and eyes generally remained the same scale, regardless of tier size. This really facilitated a cohesive look. Having items of armour stay the same scale on both the big and small guys reinforced their scale also... see the bear's paw on both Leader and Commander for an example of this. A somewhat Mayan influence seemed appropriate for the proud and independent character of Kane. 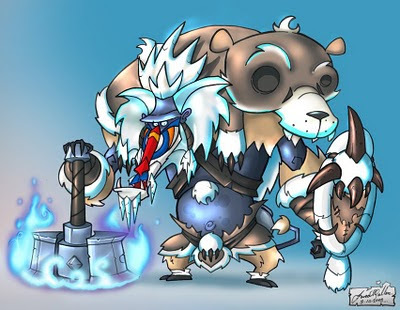 What began as a four legged Lama, resulted in the image you see here. 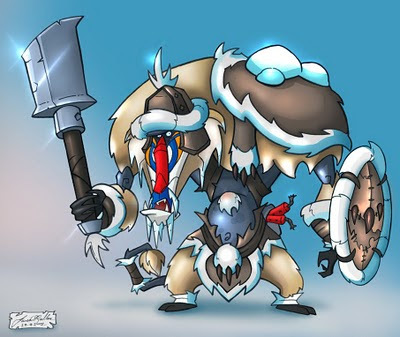 Our character animators referred to him as 'that chicken-lama' whenever Kane was mentioned. I created a back story and mythos for Kane, but it was never used in the story. 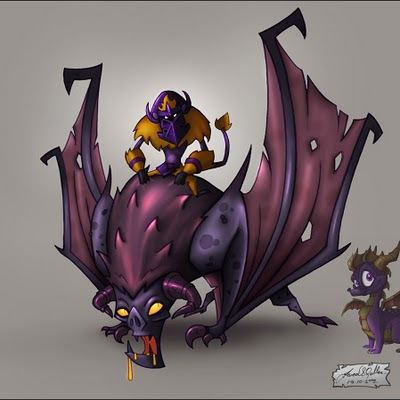 Thank you so much for posting this, I shared this with the Legend of Spyro fanclub on deviantart. 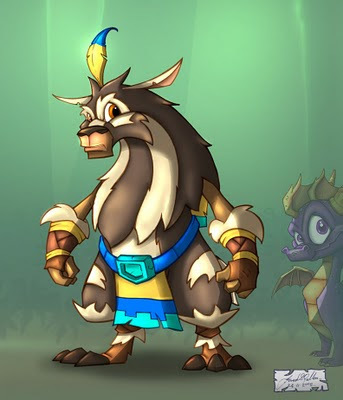 I am a big fan of Kane, I would love to know more about his backstory and the Atlawa people, I was sad they were never featured again in any of the other games in the Spyro trilogy. 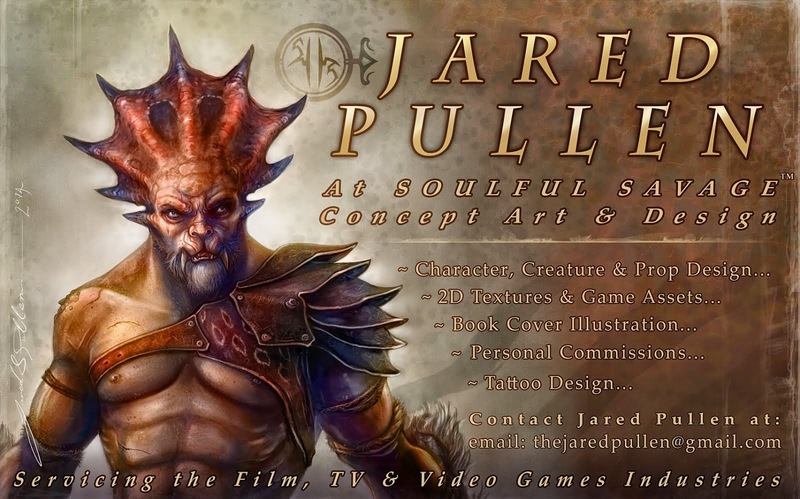 Thank you for your wonderful and magnificent concept art. All your works truly made the trilogy one hundred times more interesting. 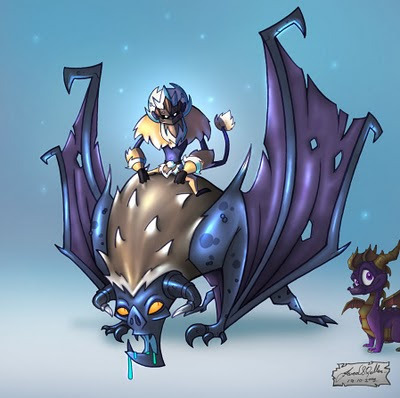 As a fan of Spyro, i truly thank you. Kind thanks for all the encouraging comments Guys... it definitely means alot. 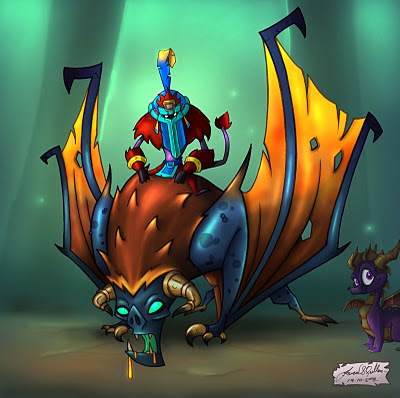 It's truly inspiring to see the vast body of Fan art out there based on the World of Spyro... inspiring and deeply humbling. Thanks Jazz, Dragoncid and Light! Keep on creating.